Over the decades we’ve visited hundreds of wineries around the world, and whether they are in Australia, Sonoma, France, Oregon, Washinton, Itay, or South Africa the best wineries producing the best wine have a few things in common. Here’s a fun little outline for you plus a nice little twist at the end. 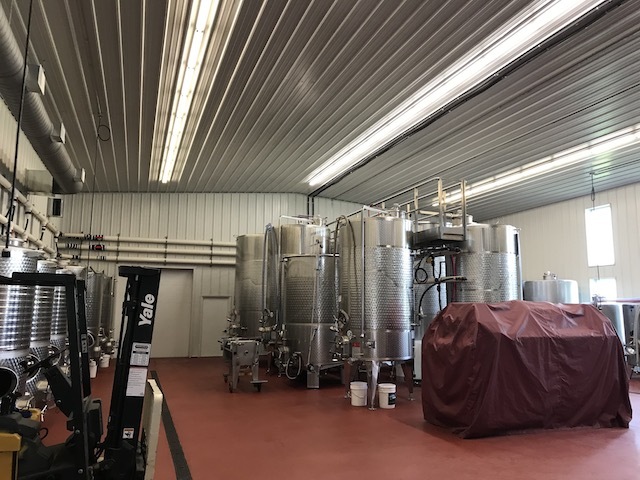 A good winery facility prides itself on cleanliness, mainly because you’re talking about fermentations happening there, and if anything gets into the tanks that you don’t want, you can have a mess on your hands. May the wine gods have pity on you if there’s a loose strain of yeast or bacteria floating around that gets into your wine unintentionally. Imagine bringing in many tons of hand-harvested grapes, crushing those grapes, starting fermentations, and only after a month or two do you realize a bit of a nasty bacteria got in there and screwed things up. Or, perhaps, a yeast strain such as Brettanomyces, otherwise known as “Brett.” Wines with Brett in them can smell anywhere from interesting to downright funky, with all sorts of plastic-band-aid-meets-body-odor aromas. Sound gross? Brett is not only seen as a positive in some beer circles, it’s actually cultivated and intentionally added to some brews. As a result, I know many a winemaker that will no longer allow any beer on their premises as a result of maybe releasing a little Brett into the facility. Think of the ‘no smoking within 50 feet of building’ signs and substitute a beer for the cigarette. I’m not kidding! In the past, and still today in many parts of Europe especially, underground production facilities full of wood beams and funky smells (or mold) are common. What you have there is a living chemistry experiment, but it’s been going on for so long that it becomes part of the wine vintage after vintage. The most famous winery for this situation was Chateau de Beaucastel, the world-renowned Chateauneuf-du-Pape producer in the Southern Rhône Valley. 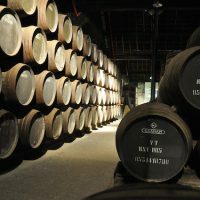 For most of their history, they made wines with quite high levels of Brett (famous critics would pontificate about the aromas of “sweaty horse”), and it became something their fan base sought out. But over time the Brett levels were uncontrollable, for the bacteria were living in the wood beams of the winery. Fast forward to 1998, a great year in the Southern Rhone, and the first vintage of Beaucastel to be released from their new, clean, state of the art facility. The critics and customers were stunned. Though the wine was technically clean and near perfect, it just didn’t smell or taste like what the customers expected. A well-run winery cannot change winemakers like changing outfits for the night. It takes time to learn the vineyards, learn the growers, discover the quality of juice you get from one hillside to the next. It takes time to learn the equipment and the facility (especially if it’s an old building or old hardware). 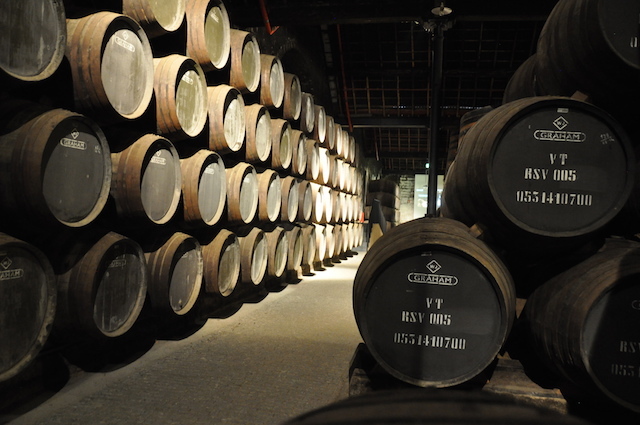 It takes time, most of all, to taste past vintages she or he has produced and learn from time. When it comes to wineries that I gravitate toward for my cellar and enjoyment, I’ve surprised myself by realizing almost all come from wineries where the winemaker has been there at least ten years, if not 20 or 50. Many of you know I consider Ridge Vineyards not only the best winery in the United States, but possibly the world, and it has been guided by a singular vision of Paul Draper, who has, over the decades, trained in the winemakers at both the Lytton Springs and Monte Bello facilities. This idea, of one person at the helm for decades, is an aspect that is more commonly fascinating about European wines and is the cornerstone concept of the Terry Thiese portfolio: that the person behind the wine matters as much as the wine itself. Can you taste a winemaker’s personality? I honestly think you can. 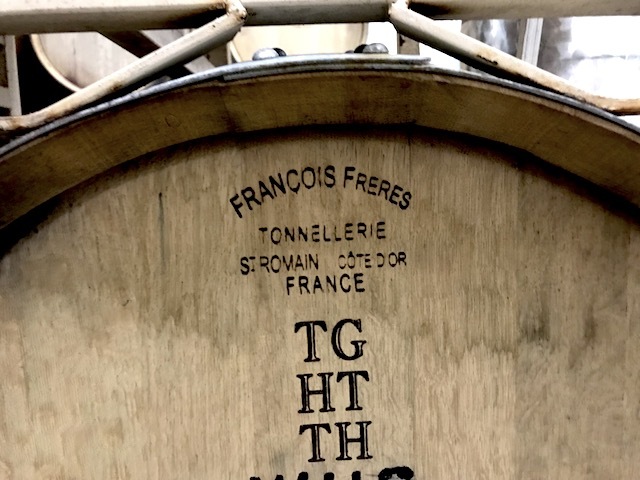 Photo: A Francois Freres barrel from France, one of the most expensive a winemaker can buy. No two barrels are alike, but one thing winemakers crave is some form of consistency (i.e., predictability) when it comes to their storage vessels. French oak tends to be detailed and soft in the aromas; American oak tends to be louder and more aggressive. Hungarian oak, Russian oak, Minnesota oak, they are all different in beautiful ways. Certain forests give certain qualities, and then you add in the toasting level of the barrel (from ultra light to charred) for more variables. Some wineries invest in their own barrel making facilities, but most have long-term contracts with select coopers. Others, who abhor new oak and only buy used barrels, are fussy about who they buy from and what was once in the barrel (you don’t want to bring any Brett into your building, and you don’t want to put your precious Cabernet into a used Bourbon barrel accidentally… a critical mistake that was surprisingly often made in the early days of the resurgence of California wine, circa 1960’s). Photo: the single coolest bottling line I have ever seen in my life! Some wineries make the massive investment of their own bottling line. This particular one is the most advanced bottling line that I’ve ever seen, imported to America directly from Italy where it was custom made. It can do still and sparkling wine. It can fill the standard 750ml bottle, as well as 1.5L, 375ml, and even 187’s. It can finish with a cork, screwtop, or even a crown cap (bottlecap). Usually, a bottling line is built for one size and style of wine, with one closure. This one can do it all. Pretty great. Some of the best wines I’ve ever had came about because of a whoops moment. Fermentations that went astray. Accidental aging (“we lost this case for twenty years in the warehouse”). Unintentional blending (“the damn intern dropped 15% Petite Sirah into it, but taste what happened!”). No winemaker has a crystal ball. No winemaker knows precisely how things are going to go vintage to vintage. The best have a good idea, and the very best know to adapt and shape to whatever the Gods of Terroir bring to them. And the very best allow some cool stuff to happen, to learn from it, and make something better and better. All the photos in this story and the ideas behind it came about from a visit last Sunday to Carlos Creek Winery in Alexandria, Minnesota. I occasionally write and often talk about the developments happening in the cold climate grape industry and Minnesota winemaking in particular. This trip again reinforced what I’ve been preaching: something is bubbling up in a big way between the increased quality of wines, of grapes, of knowledge, and of consumer curiosity with regards to cool climate grapes. This past Sunday I had some eye-opening moments. 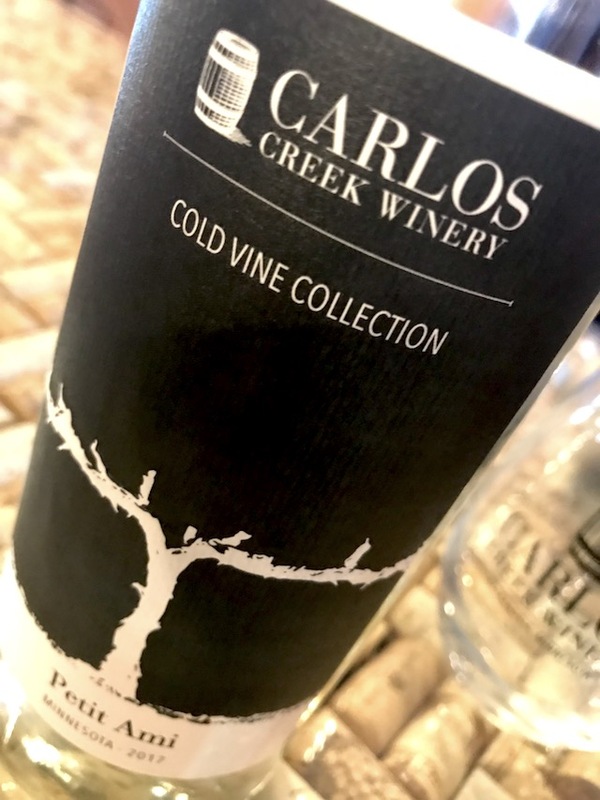 – Carlos Creek is now producing about 15,000 cases of wine. Schram Vineyards, another favorite of mine, is ramping up to 15,000 cases as well. Then there are another 68 wineries beyond them. This has become a serious business with some serious money being generated. See the University of Minnesota Grape Production Stats of 2017 for more information, and here’s a good article. – The Carlos Creek Petite Ami is a redefining wine for the Minnesota wine industry. Bone dry, high acid, and right at home for the Sauvignon Blanc lover. It was a mistake wine, with grapes harvested early (at 20 brix to retain acidity) but allowed to go through full fermentation (rather than stopping at a slightly sweet wine, which was the plan). 0.0% residual sugar, high acids, aromas of lime zest and ripe apple, lip smacking, and at 10.5% alcohol, utterly gulpable. You can buy it directly from the winery. Learn more about the Petite Amie grape here. – A new wine for Carlos Creek, the Calisota ($18.00 … find it here), 25% Marquette from Minnesota and 75% Petite Sirah from Lodi, California (which arrives as whole clusters soon after picking and being loaded directly into a refrigerated truck for the drive … Petite Sirah was planted heavily in California during Prohibition to sell to home winemakers because of its thick skin and durability during transport. So interestingly, 100 years after Prohibition many of these same vines are producing incredible fruit that is once again being shipped around the country) is another game changer. For the nearly two decades that Carlos Creek has existed, the theme in the tasting room has been sweet, sweet, sweet. But this year something changed. People are asking for more dry wine, and this new Calisota (again, like the Petite Ami, 0.0% residual sugar … bone dry) is the BEST SELLER this summer in the tasting room. – That bottling line? I’ve never seen anything like it, and you probably won’t anywhere in California or Europe. Why? 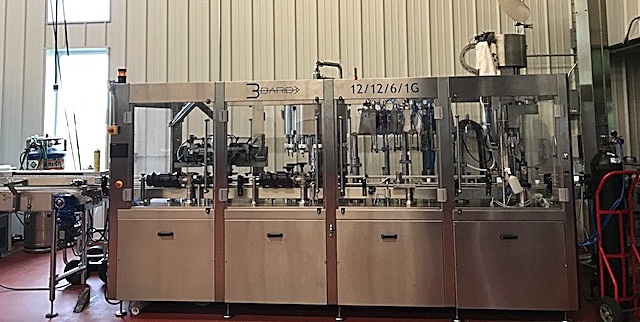 Because in wine-centered regions you can always hire a portable bottling line to come to your winery and do the work. A bottling line is like owning a complicated boat, and little things go wrong regularly. Best to let somebody else take on the headache of ownership. But in Minnesota, we don’t have wineries stacked up on the highways, and there is no market for a portable bottling operation, so investing in a machine like the one I described is pretty essential (and damn expensive). – Carlos Creek has had the same winemaker for nearly 20 years, Russ Funk. Behind Nan Baily at Alexis Baily, he’s probably the most experienced winemaker in the state. This is important, for knowing the nuance of the vintages and what to expect from the harvests (and how to correct for mistakes) is still pretty new information when it comes to this cold climate wine thing. When you get the likes of Russ Funk, Steve Zellar (Parley Lake), and Aaron Schram (Schram Vineyards) into a room together, you have some pretty fantastic wine brains at work. Carlos Creek also has an intern winemaker from Champagne, France, who is bringing European winemaking tastes and ideas into the operation. – Lastly, limited production and high quality dry red wines are being sought out by their customers. The Marquette grape is on everybody’s mind of course, but wines such as their Reserve Frontenac are selling well and at serious prices. Here’s more info on Petite Pearl, and through that link, you can learn about the lineage which includes Grenache and Cabernet Sauvignon! In summary, I write this not as a promo piece for Carlos Creek, or even a love letter to Minnesota wines. I write it to do the same thing that I hope all my emails and classes do: spark curiosity and build confidence. If this essay helps you wonder if you should try these wines, if you should visit a local winery, or merely try a glass of wine from a strange grape from an unknown region (there are some killer Macedonian wines on the market right now! ), then I’ve done my job. 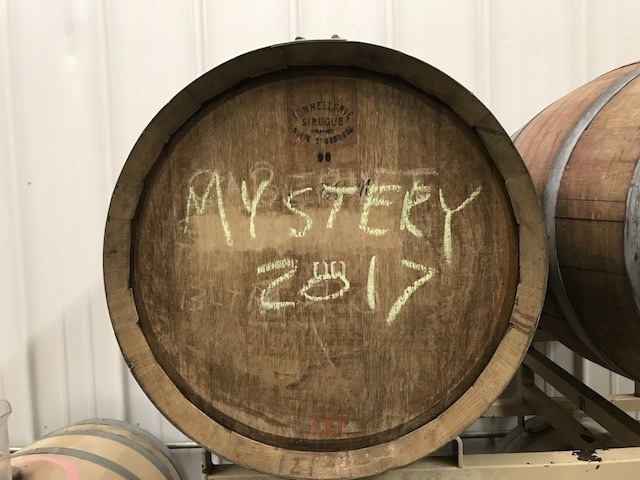 Oh, and that photo of the “Mystery” barrel? The owners of Carlos Creek found vines on the property that were behaving totally different from most. They make good fruit and great wine, but the growth and ripening pattern didn’t match other vines. So they took cuttings and sent them to Cornell University, the University of Minnesota, and UC Davis. It was identified as a hybrid grape (so some European heritage was in there, combined with native DNA) but it was unknown to all. A mystery grape in terms of what it is and where it came from. I love stuff like this, and it’s what keeps the wine world endlessly fascinating for me. Great article! And, I totally agree. There is ALWAYS something interesting happening in the wine industry. Trouble with we humans is we can’t live long enough to know all that is out there, or in being able to keep apace with all the changes and innovations. 1. So my students can meet one the most incredible women – period – involved in the wine industry.